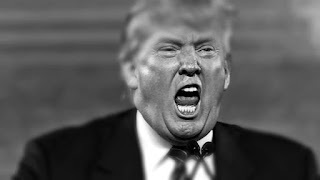 50 Republican National Security Experts: "Trump Is Dangerous"
"None of us will vote for Donald Trump," said the letter, in which some of the most influential players in global defense policy warned he would be "dangerous" in the Oval Office. Those who signed the letter include Michael Chertoff and Tom Ridge, both former secretaries of Homeland Security, as well as John Negroponte, who served as director of national intelligence. “Mr. Trump lacks the character, values, and experience to be president,” the officials warned. The letter accuses Trump of showing no interest in educating himself on foreign policy and displaying “an alarming ignorance of basic facts of contemporary international politics” while at the same time boasting of knowing more about Islamic State than military generals. "He is unable or unwilling to separate truth from falsehood,” the letter said.